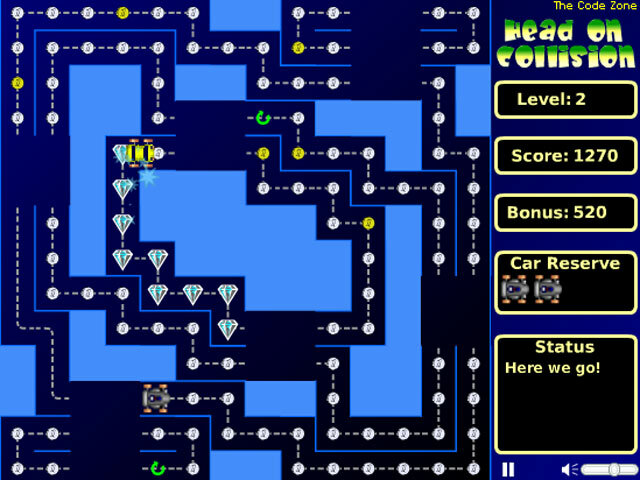 Watch out for a Head On Collision as you collect treasures and avoid the other vehicles in a maze! 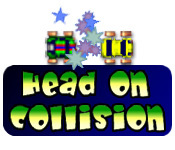 How long can you last?Watch out for a Head On Collision!Watch out for a Head On Collision as you collect treasures and avoid the other vehicles in a maze! 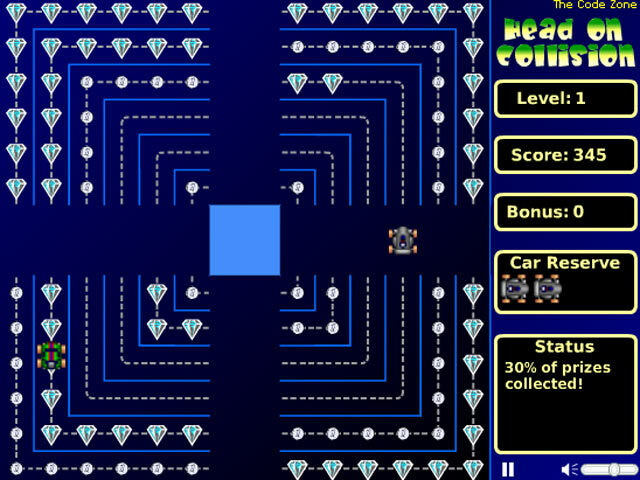 How long can you last in this fast-paced and exciting Arcade game? 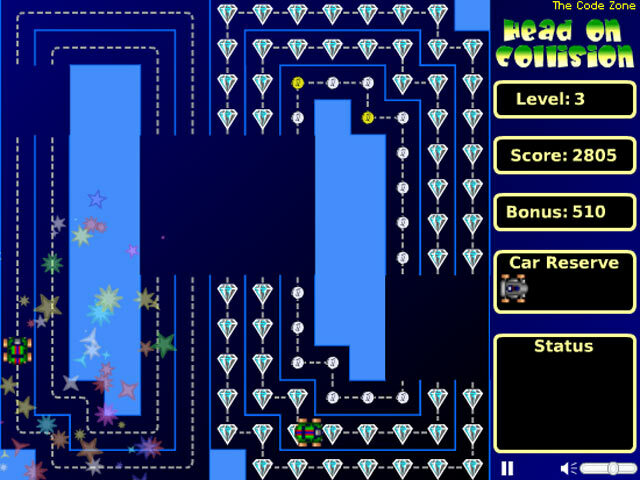 Can you get the high score? Or will your trip end earlier than you thought? ?